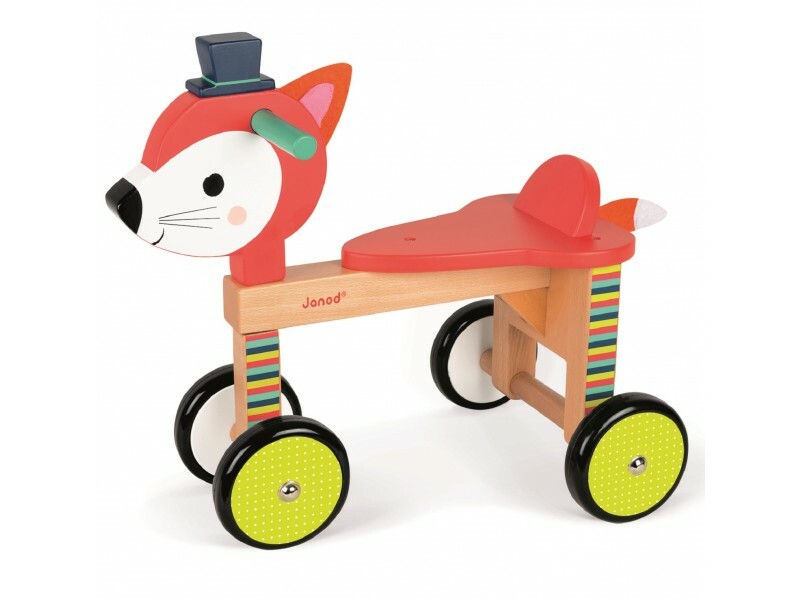 This charming wooden Baby Forest Fox Trike from French toy company Janod, is beautifully crafted and hand painted and the perfect first ride on toy for little ones aged 12 months and above. 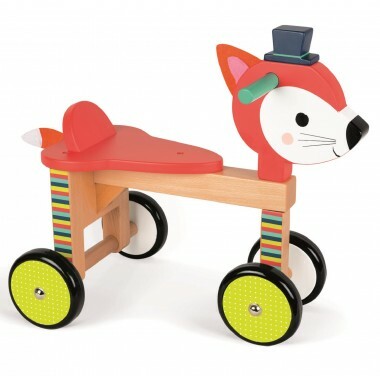 The Fox Trike is brightly painted in foxy orange with striped wheel forks, polka dot wheels and natural wood accents. 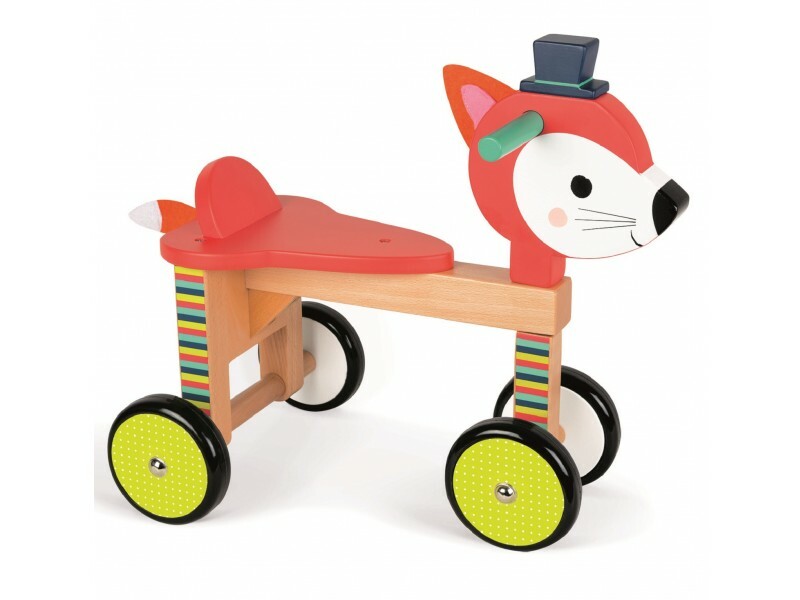 The trike also features two wheels at the front that can be turned and rubber tyres to ensure the trike is safe for use on all surfaces.